I’m hoping your week is off to a good beginning. Things are still busy here at RHM but I’m pausing for a moment today to thank each of you who have given to RHM’s WV Flood Recovery fund. To date, we have raised just over $3,000. The road to recovery is going to be a long haul for so many people in this area, and this week we are featuring a family known in this community for their continual investment in eastern Greenbrier county’s youth. Tasha Allder is a nurse in Salem and Blacksburg, Va. Jim (Jimmy) Allder is the Music Director at Greenbrier County Schools, the Director of Instrumental Music at Greenbrier East High School, and a teacher at Greenbrier East High School. Yes, he has three jobs! Jim and Tasha also have two children. The Allders were among the many whose lives were turned upside down by the flooding here in West Virginia over June and July. PAUL: And the thing is there are still people who are stranded and they still don’t have a way to get home. My next guest is one of them. Jim Allder, he is joining us on the phone from Caldwell, West Virginia. Jim, thank you so much for taking the time to be with us. I understand the culvert you use to get home is gone, it’s washed away. Do you have any indication as to when or how you might finally be able to get there? JIM ALLDER, CALDWELL, WEST VIRGINIA RESIDENT: At this point we have no idea. The expense to replace the culvert is considerably out of our budget at this time. And without that there’s no way to our house. We don’t live in a flood plain so we don’t carry flood insurance, and our homeowner’s insurance will not cover it. There is no other access to the property whatsoever. The only thing that we could do is cross the creek further upstream where it narrows and then cut a path through a rough mountainside. PAUL: Do you have neighbors or anybody who you have been able to contact to find out the status of your home or your neighborhood? ALLDER: My brother-in-law has [checked on the house]. He was able to cross further upstream. He made his way to the house and he was able to check on our animals. We have four dogs, three cats, and a rabbit stranded at our house. He was able to check on them. There is no power, there’s no water. The options are very limited right now. PAUL: How long have you been out of your house? PAUL: So help us understand what it’s like where you are there in Caldwell right now, because I know you’re along the Greenbrier River and another creek, is that right? ALLDER: Yes, the Greenbrier River and Howard’s Creek. Howard’s Creek is the same creek that did much of the damage through White Sulfur Springs and Greenbrier Resort, and it flows right by the main access tunnel that goes under the railroad to get to our main road. It destroyed the bridge heading to that tunnel, flooded the tunnel, and there’s multiple sections of the road on the way to our house that are just gone. There is a back way to get there, but it’s not in good shape either. 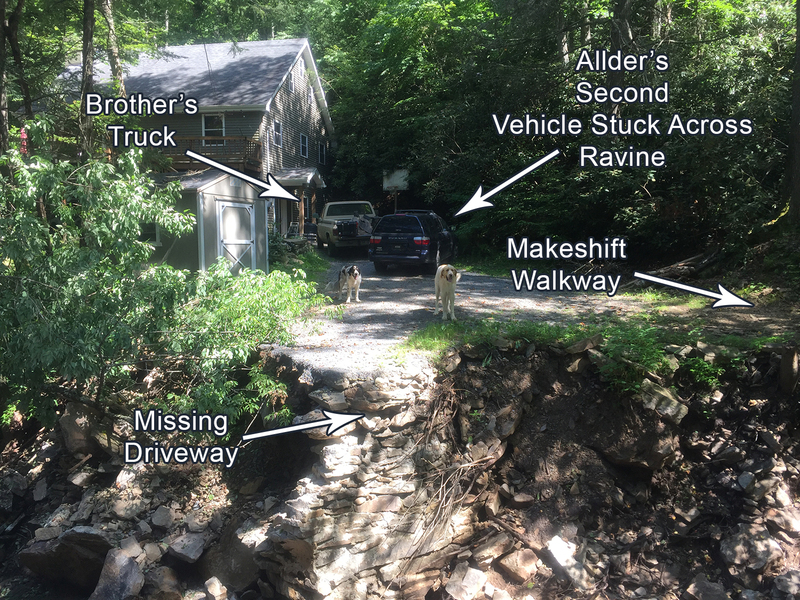 The Allders had recently replaced the culvert, the part of their driveway that leads from the main road over a creek to their home. The 10 inches of water that fell in 48 hours overwhelmed many of the creeks here in Greenbrier county, including the one near their house. Now their new driveway is gone. 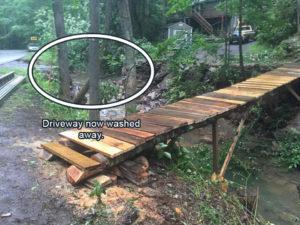 In the days after the flooding, Tasha and Jim erected a walkway to get them back home. But it’s only a walkway. One of their vehicles which they use to get to and from work is stuck on the other side, and that means they have only one vehicle to get to two separate workplaces in opposite directions, about 30-40 minutes from home in one direction, and about 90 minutes in the other. The walkway is complete, yet please notice the missing driveway in the background. 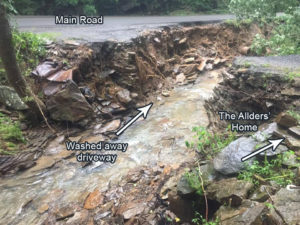 Shortly before the flood, the Allders had spent $10,000 to repair the culvert to their home. 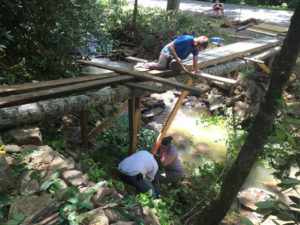 To replace it now from scratch is going to cost them another $20,000. To make a contribution to RHM’s West Virginia Flood Relief and Recovery please use the link below. 100% of your donation goes to help here locally. You can also mail in your contribution at the address below. If you do contribute by mail please make sure to mark your donation as “WV Flood Relief” so that none of the funds we receive for this purpose will be used for Renewed Heart Ministries. 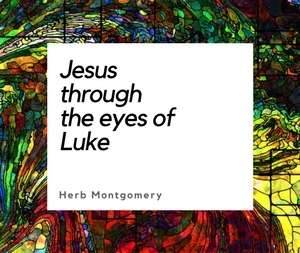 Again, thank you, each of you, for your support not only of Renewed Heart Ministries, but also our community. We’re demonstrating what our world can look like when shaped by love. Thank you for being part of this.